A smart present that will delight the beautiful half of humanity! 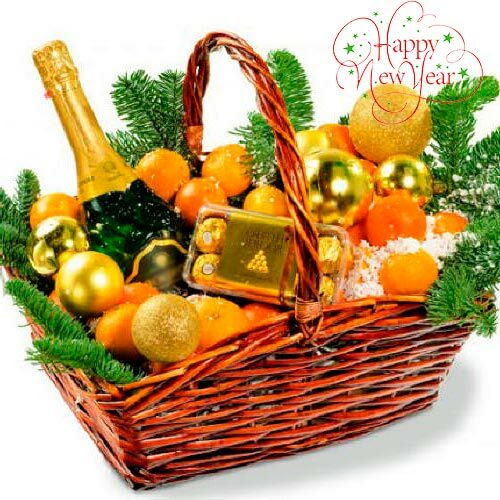 Composition: champagne Cricova de Lux, Ferrero Rocher box, mandarins, basket, spruce branches, floral material. (The basket is delivered in a transparent cellophane package.) Fruit weight: up to 2 kg.